The current orders placed with SGI are, for the mostly, package pur hase orders including engineering delivery, assembly and commissioning. 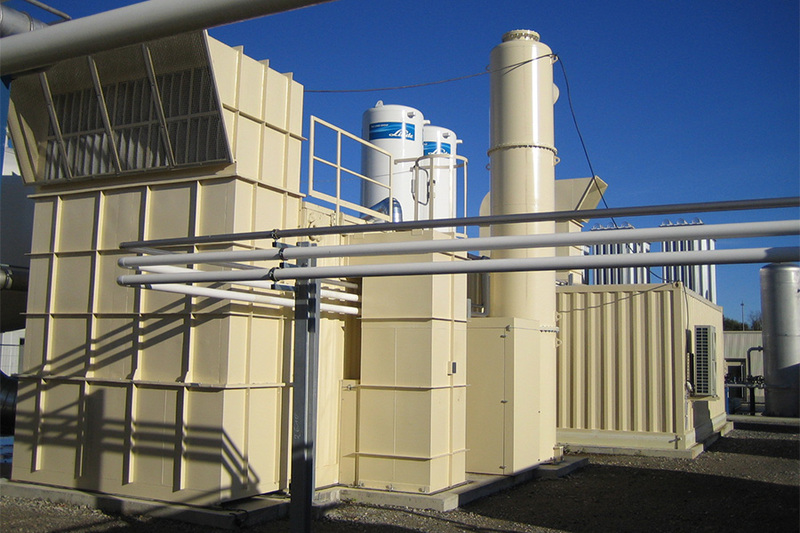 For handling these orders, SGI has a qualified team at its disposal that can look back on many years of experience in design, installation and commissioning of vacuum process, compression, purification and generation systems. We purchase all main units and components such as vessels, heat exchangers, single vacuum and compressor stages, vacuum components fittings, transportation systems, switch cabinets, ect. from qualified component suppliers and subcontractors according to technical requirements specified by us. They are then complete assembled in our workshop, if necessary, and assembled finally at the construction site to a complete operative facility. 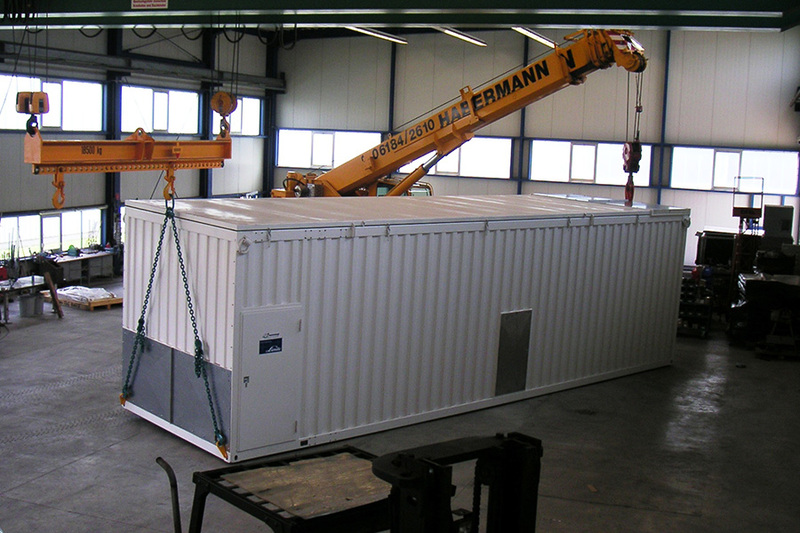 According to manpower requirements for assembly and packaging in our workshop and especially at the construction site, we make use of qualified employees temporarily transferred to us from subcontractors with whom we have been working together on this basis for many years in order to get managed this peak worklad for installation at site to supplement SGI 's own team. With this operating method we can adjust ourselves in a flexible and cost effective way to the respective project business with a minimized permanent staff size. This way our fixed costs are kept at a low level and we can maintain the competitiveness necessary in the project business, with all its different requirements. As you can see from our list of references, SGI has received the most various orders in the field of vacuum technology on this basis from very important companies against strong competition. SGI has completed these orders very successfully and on schedule. SGI uses modern computer systems and programs for calculating vacuum vessels and vacuum pump-sets as well as CAD applications. SGI create their own programs to calculate vacuum pump-sets, gas compressors and oxygen generator systems. In summary it can be said that at SGI qualified engineers and experts are available who have the experience necessary for implementing vacuum, process gas compression and gas technology construction projects from the orders they have already completed.They can claim experience with official regulations as well as the relevant safety regulations and necessary documentation. He coordinates all tasks that have to be carried out by his own team or by third companies with prior consultation of the customer. He is substantially involved in preparing documents and obtaining official licenses. The project manager will take part in all discussions and negotiations that lead to the concept of the basic draft, i.e. the systems of the operating materials, auxiliary facilities, space assignment plans, the requests for bids, fabrication, scheduling for engineering tasks and construction activities. The project manger supervises the work with the assistance of an executive processing and planing engineer in order to ensure that the project is implemented in accordance with the contract and the leading decisions agreed upon. The entire correspondence concerning the project is handled by the projectmanager. He either takes the necessary steps himself or delegates the tasks to executive processing engineer in his subordinate working group. He writes progress reports on a regular basis and works together closely with the project management of the customer in order to carry out the project according to the contract. The most important process data comes either directly from SGI if it is a process developed by SGI or from the customer. Pressure loss calculation for vacuum conduits, vacuum-pumpset, station gas conduits, warm water heating, ect. Preparation of hydraulic calculations for the opening and closing of the chamber doors, ect. Calculation of the wall thickness for the vacuum chambers, chamber heating, channels, pipelines, as well as the calculation of vacuum support rings and other supports. Preparation of process calculations for other apper taining parts. Pipe dimensions of all pipelines. Preparation of specifications and descriptions for the vacuum chamber, vacuum pump-set, pipe work, instrumentation, heat exchanger, vessel and other parts. Preparation of data sheets and layout drawings for the vacuum chamber, vacuum pump-set, heat exchanger and vessel that contain all necessary information, dimensions and the position of the connection pieces in order to carry out the implementation drawings. Preparation of general processing and material specifications for the chamber, shrouds, pipelines, heat exchanger and vessel. 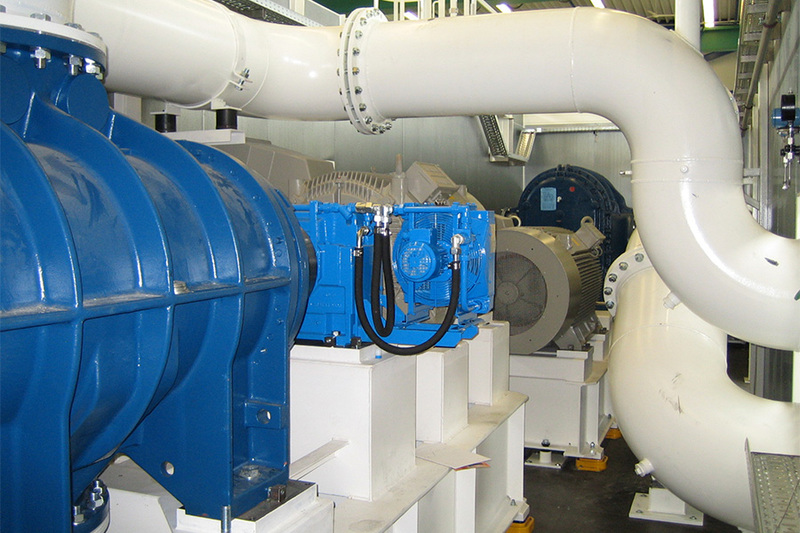 Demand on the supply of electric power, cooling water and compressed air as well as other demands on supplies necessary for running the facility. The documents prepared during fabrication present a definite and complete proof of the required design and quality. The SGI Prozesstechnik GmbH Chief fitter is responsible for all the assembly jobs of the project with regard to the implementation in accordance with the approved drawings and specifications. Together with the project manager, he determines he sequence of operations, coordinates the work of the subcontractors at the construction site and ensures a smooth and economic cours of work within the designated time limit. For supervising construction and assembly, the SGI chief supervisor has a team of experienced fitting experts from subcontractors at his disposal. During the entire assembling time, special attention is paid to operation and safety at the facility. Calling the relevant authorities for technical approval to get operation licence. Furthermore, the staff of the assembly supervision makes sure that all preparations for commissioning are carefully planned. The SGI commissioning team can consist of the process engineer as well as the electrical and instrumentation engineer. This team is supported by the chief mechanical supervisor only when remaining work and small changes are necessary for commissioning.